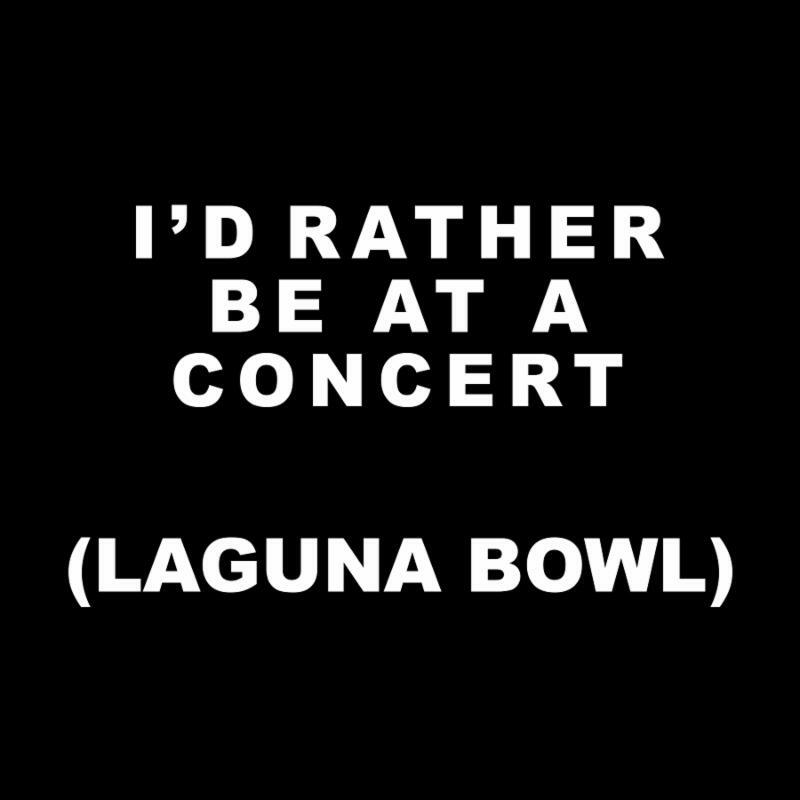 FIND YOUR DANCING SHOES AND MARK YOUR CALENDAR FOR A ROCKIN' GOOD TIME WITH LAGUNA FRIENDS! We are just one month away from closing the books on our 2016-2017 Laguna Fund campaign! Our community is rising to the challenge, and we appreciate the families who have helped us to hit nearly 70% participation and $460,000. The Laguna Fund determines our ability to improve our campus, the curriculum, and the culture of Laguna. We are working hard to raise an additional $40,000 and need the rest of our community to participate in this critical effort. Thank YOU! Join the effort. 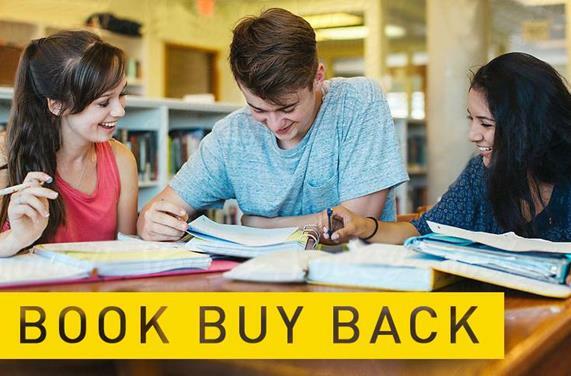 Give Now. Click Here . Be Counted. 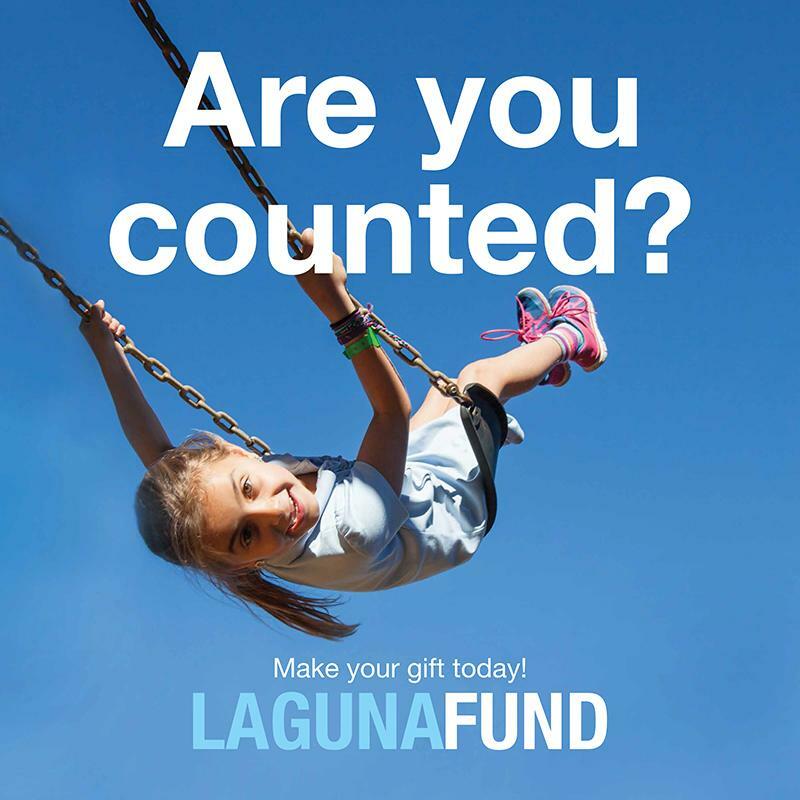 Uncertain if you've given to the Laguna Fund? Please contact Director of Development Marcy Jacobs with questions. 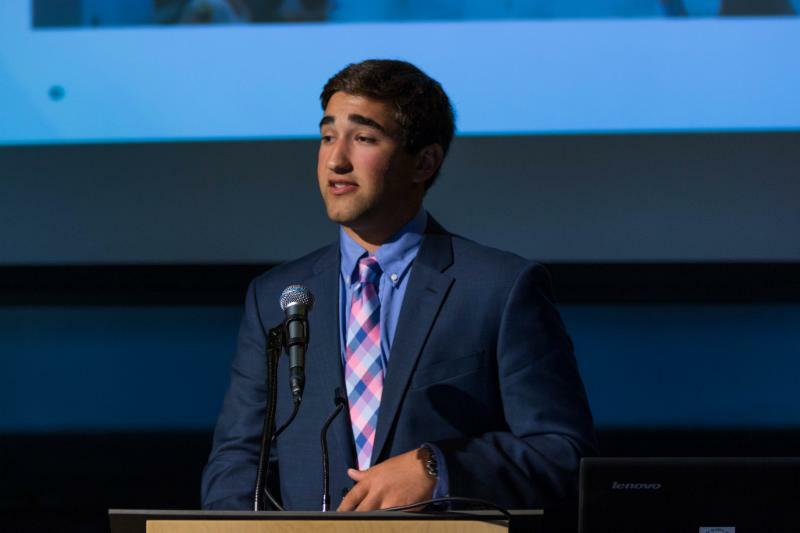 Laguna's 15th Presidential Volunteer Service Award Assembly took place on Wednesday, recognizing and honoring 34 students as examples of community service in action--amounting to an impressive 4,231 hours that they helped others. 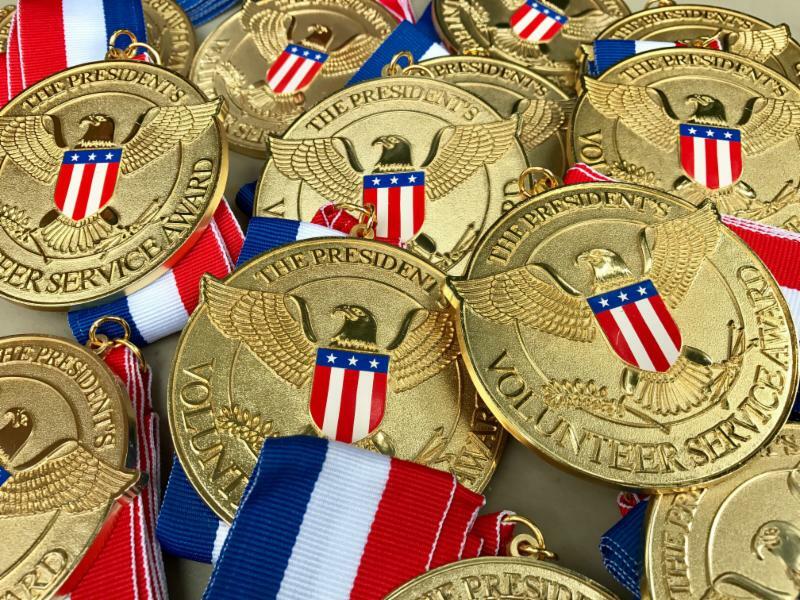 Earning the awards varies according to age. 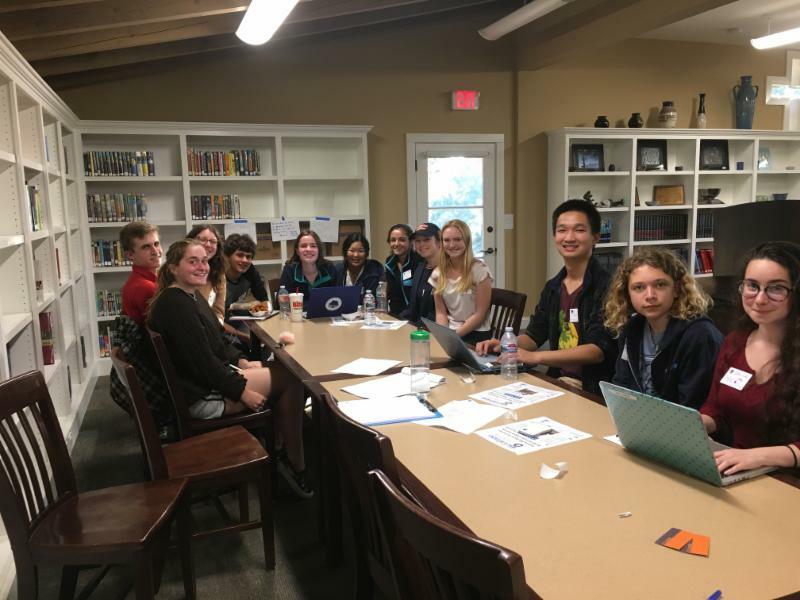 Teens from 11-15 who complete 50 hours earn a bronze award, for 75 hours they earn a silver, and if they volunteer 100 hours or more, they receive a gold award. 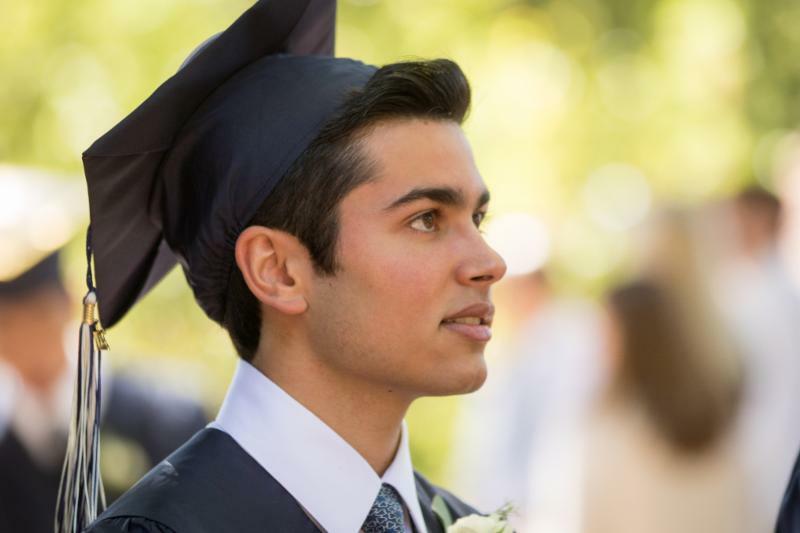 The number of hours needed to earn awards increases once a student turns 16 and is considered a young adult. They need to complete 100 hours for a bronze, 175 hours for a silver, and 250 hours for a gold award. Congratulations to the following students, who have stepped up and helped one person at a time--again and again. 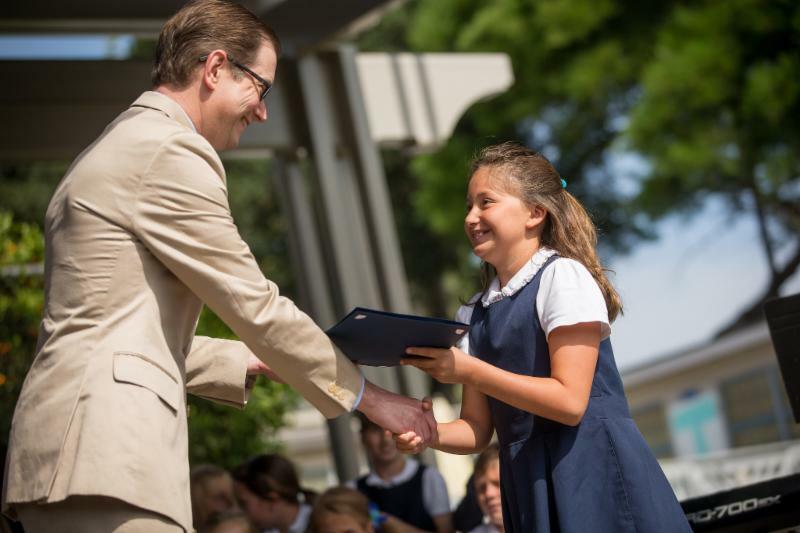 Each student received a medallion and a letter from the president on official White House stationery. Additionally, International student Rose Houglet was recognized for logging 250 hours of community service this year. 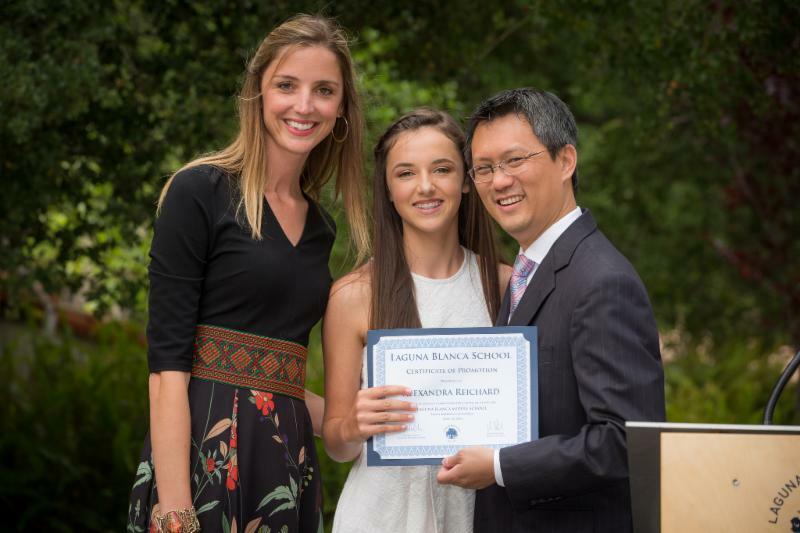 Last year, Rose was inducted into Humanitas, Laguna Blanca’s Service Honor Society, and she continues to generously serve our community. Congratulations, Rose! Thanks for your service to the community, Owls! THANKS FOR BEING SO SWEET, LOWER SCHOOL! 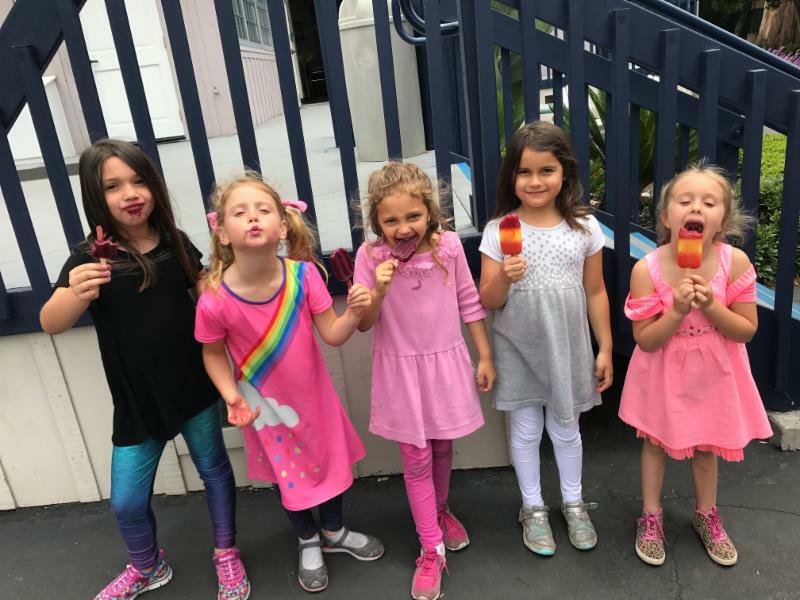 Many thanks to the Lower School for their help in raising funds for the Sock Club through a popsicle sale last Friday. They raised $143! A second popsicle fundraiser will take place this Friday 6/2. Bring $1 to participate. Earlier this week, a cross-generational group of K-12 Laguna Sock Club students and faculty, along with homeless advocates and community leaders--C3H, Common Ground, AmeriCorps, UCSB, the Fund for Santa Barbara, and the Uffizi Order--met to brainstorm strategies for preserving the Alameda Park Meal Sharing tradition and help consider from "charity to change" empowerment ideas. To that end, Brooke Green's third graders Beckett Clark '26 and John Hereford '26 were in attendance to offer a report on the third grade's fundraising contribution to the Sock Club's Reunification funds, which will be used to help one of our friends in the Park return home. 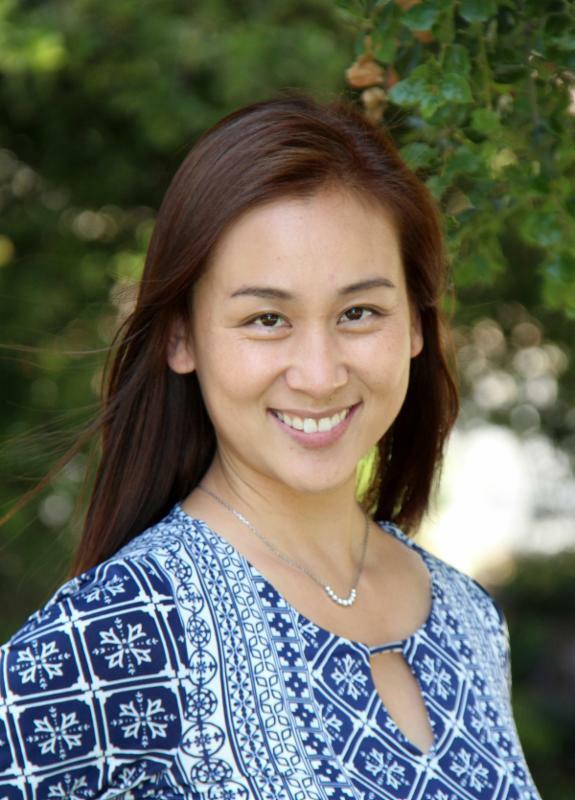 Vicki Wang joins Laguna’s business office to replace longtime Finance Assistant Gail Hess who is retiring later this month. Vicki brings an array of experience to Laguna as being the owner, executive director, and teacher at Sino West Performing Arts Center. Most recently, she worked in accounting at Bacara Resort & Spa. Vicki holds a Bachelor of Arts in Accounting and Business Management from the University of California, Santa Barbara. Originally from Silicon Valley, Vicki has played sports all her life, including gymnastics, basketball, field hockey, volleyball, track, and swimming. She can barely wait to attend Laguna games and cheer on the Owls! Outside of Laguna, Vicki enjoys dancing, hiking, going to the beach, and watching sports—especially basketball and football. She and her husband, Dragon, have a 2-year-old daughter, Gigi, and a mini Australian shepherd named Murphy. 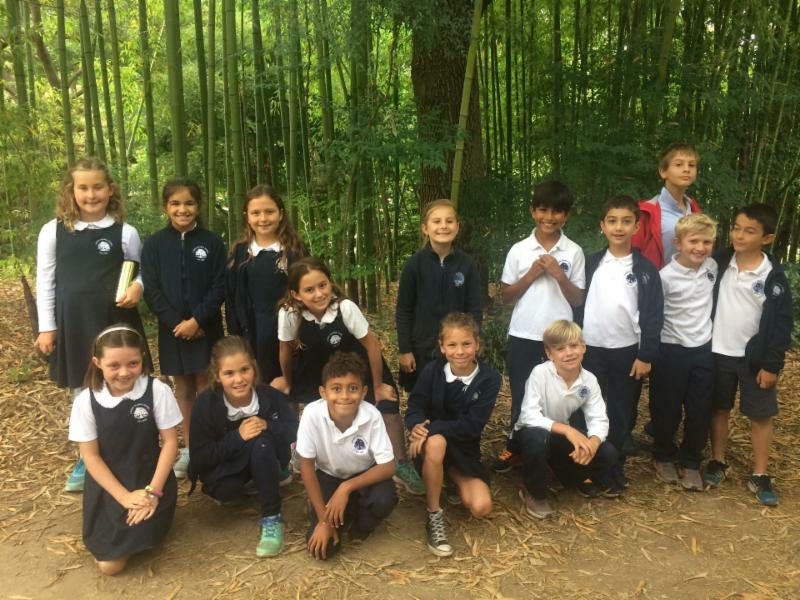 This week, third grade students visited Ganna Walska's Lotusland where they were immersed in their learning about the history of the garden and the different plants and traits of those plants within the garden. By the end of the visit, students were using vocabulary such as “epiphyte,” “bromeliad,” and “cuticle” to reflect their learning. Click here to read more and view photos of the trip. 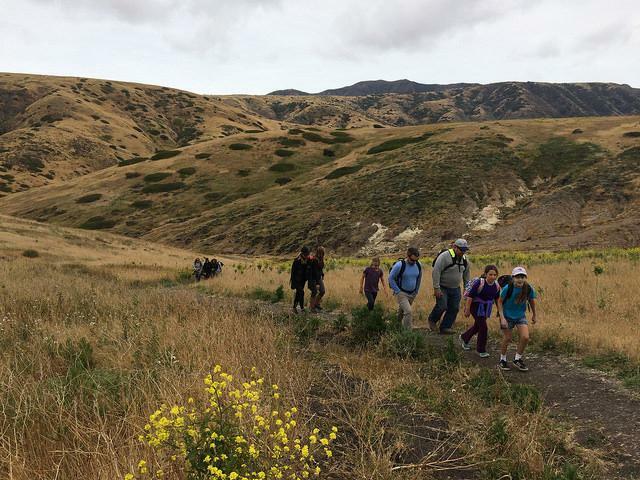 Last Friday, fourth grade students headed to Santa Cruz Island for a day of adventure and beauty. Click here to read more, and click here to view photos. As a culminating activity to their study of the American Revolution, fifth grade students gathered for tea as characters from Colonial times and shared their understanding of the conflicts between Great Britain and the 13 British colonies in North America. Enjoy this video of several students introducing themselves in full character. Click here to view Pre-Prom photos. Password: prom2017lb. Email Ken at Sevilla Photography if you would like to order photos. 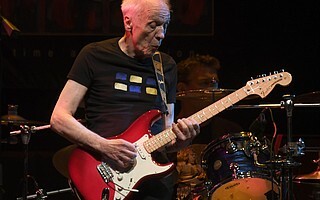 Seniors Nicole Belton '17 and Clara Hillis '17 recently published a review of Robin Trower's sold-out performance at the Lobero. Way to go, ladies! 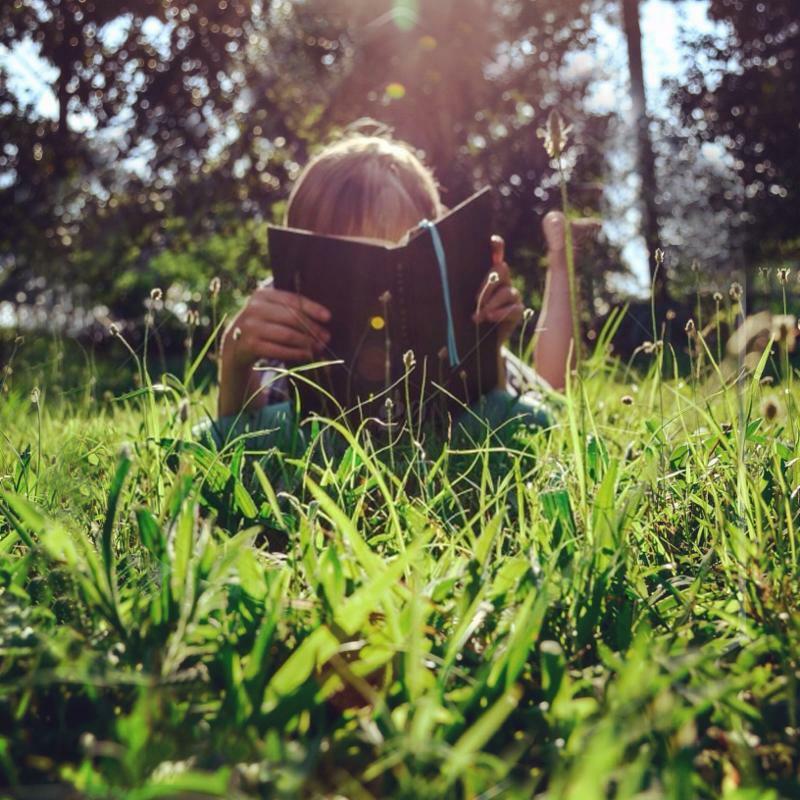 CLICK HERE for a list of summer reading by grade level. UPDATE: Seminar course reading lists are now posted. 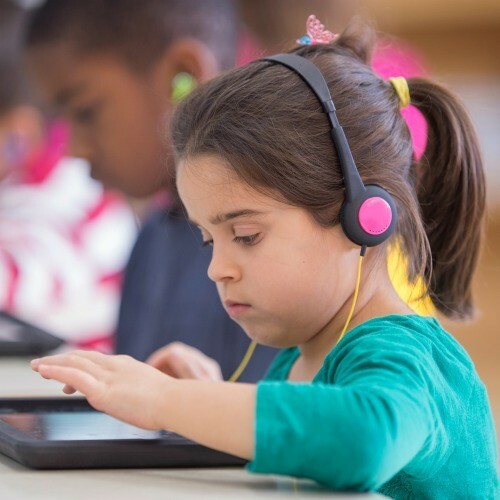 Hook kids into learning about a topic in or out of school with fresh voices and unique perspectives. Read more .